At home in O‘ahu, Harry relaxes in the living room of their 1931 house, recently renovated so that they might age in place. Next to his chair is a bookcase full of vintage recordings. It’s Sunday afternoon! “Welcome to ‘Territorial Airwaves,’” echoes the AM940 Hawai‘i announcer, followed by a long steamy blast of a cruise ship’s horn. 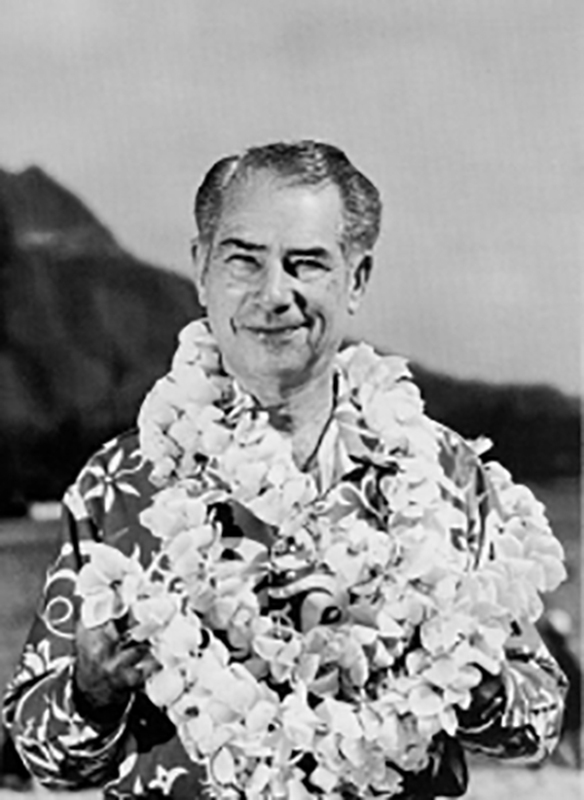 And then, like a playful ocean breeze, the cadence of Harry B. Soria’s happy voice bids us e komo mai and stay awhile. Gently, he calls us back to simpler days with the hapa-haole and not-so-haole music of old Hawai‘i — passed down in families and among Hawai‘i musicians for a hundred years. 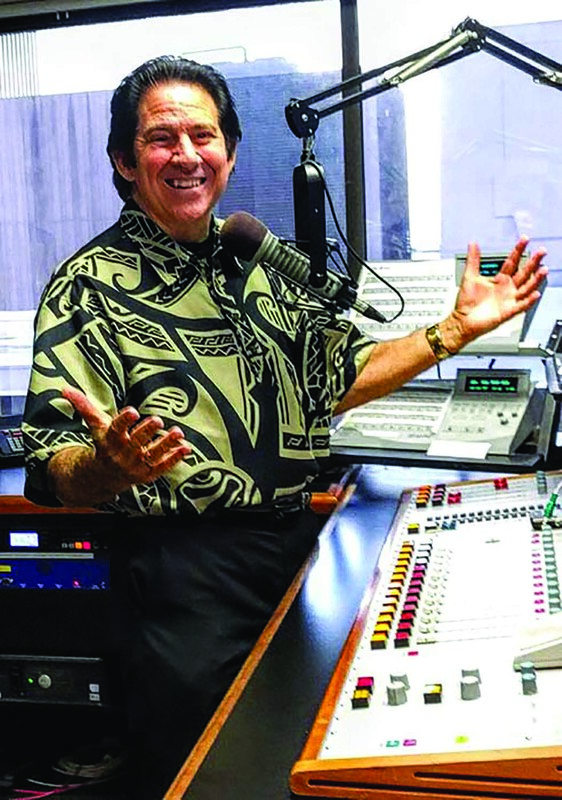 Listeners who grew up in the heyday of radio may have danced to these tunes or seen live performances; for the younger audience, Harry B. is the guardian, guru and guide back to Hawai‘i’s best music — from monarchy to statehood and beyond to the 60s, 70s and 80s. If you are thinking that “Territorial Airwaves” weekly broadcasts are small potatoes, think again. Passengers on Hawaiian Airlines tap their feet to the “Territorial Airwaves” in-flight audio selection. Harry B. and his radio show have earned nine Nā Hōkū Hanohano awards, including the 2017 Krash Kealoha Industry Award for lifetime achievement. For nearly 40 years, Harry B. has been entertaining and educating audiences with the backstory of Hawai‘i’s most celebrated composers, musicians and performers — collapsing the time between us and the free-wheeling innocence and excitement of Hawai‘i’s past. 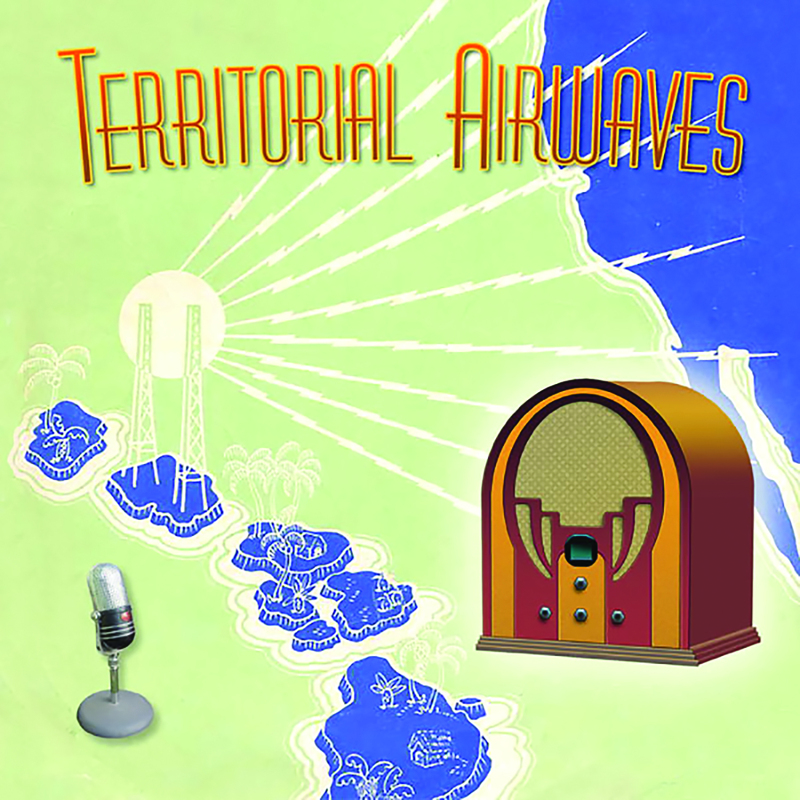 “Territorial Airwaves” will celebrate its 40th anniversary of broadcasting Friday, June 14, at the Monarch Room of the Royal Hawaiian Hotel, where Harry B. used to broadcast live. He and his wife, Kumu Hula Kilohana Silve, are planning a massive ho‘olaule‘a with a traditional buffet dinner, a broad array of fantastic Hawaiian entertainment and a huge silent auction. Funds from this celebration will support the preservation of Hawai‘i music through The Hawaiian Music Archives Foundation. Tickets to this splendid event cost $150 per person and are now available at www.TerritorialAirwaves.com. Over the last 40 years, Harry B. has collected and cataloged over 70,000 recordings and 10,000 vinyl and acetate records, as well as thousands of liner notes, photographs and memorabilia. The foundation will create a public repository where this music history of Hawai‘i may be safely preserved and made available to the public. “The Hawaiian Music Archives Foundation will prepare a user-friendly digital archive system so young musicians and the public may easily access this wonderful music resource,” says Harry B. This year also marks 100 years in Hawai‘i for the Soria family, called “the first family of Hawai‘i Radio.” In the 20s, Harry B.’s grandfather, Harry G. Soria, was friends with Marion Mulroney, who operated KGU radio, the station affiliated with the Honolulu Advertiser. He sold airtime and commercial spots for them. In 1934, his son Harry B. Soria (Harry B.’s father), got a job at the Star Bulletin’s rival radio station, KGMB, where he pioneered remote broadcasting — by laying a wire from the old Star Bulletin building across Bishop Street and down Alakea to do a promotion at the famous Radio Repair company. He booked the Bright Brothers to perform and it was a hit. Soon, Harry G. recruited his son to KGU to host an on-location traveling show called “Going To Town with Harry Soria,” which drew attention to Honolulu shops, events and community gatherings. Listeners from O‘ahu and Neighbor Island plantation communities tuned in and flocked to enjoy Honolulu’s growing urban scene. Webley Edwards, produced and announced “Hawaii Calls” live dance party, broadcast from the Moana Hotel. A year later in 1935, Webley Edwards had an idea to do an on-location dance party show at the Moana Hotel at Waikīkī with a shortwave radio hookup to NBC in San Francisco and a connection to the Mutual Broadcasting Network of local stations across the U.S.
Harry B. tells us that the first time Webley tested the hookup, the telephone operator said “Hawai‘i calling…,” so Edwards named his new show “Hawaii Calls.” Edwards directed and produced the show, which always started with the live sound of waves coming in at Waikīkī Beach and Edwards’ lilting voice reading his script. Harry Owens and the Royal Hawaiian Orchestra set the mood and featured all the best musicians in Hawai‘i. Besides dance numbers, “Hawaii Calls” showcased the biggest singing stars like Alfred Apaka, Johnny Almeida, Ray Andrade, Marlene Sai, Ray Kinney, Dave McIntyre and Don Ho, all under the musical direction of Al Kealoha Perry. Performers and songs heard on “Hawaii Calls” became so popular on the mainland that the Lexington Hotel in New York City presented a live Hawaiian show every night; Hawai‘i big bands and vocal stars flew to New York for gigs that would last three months or longer. Hawai‘i music and hula was the rage. 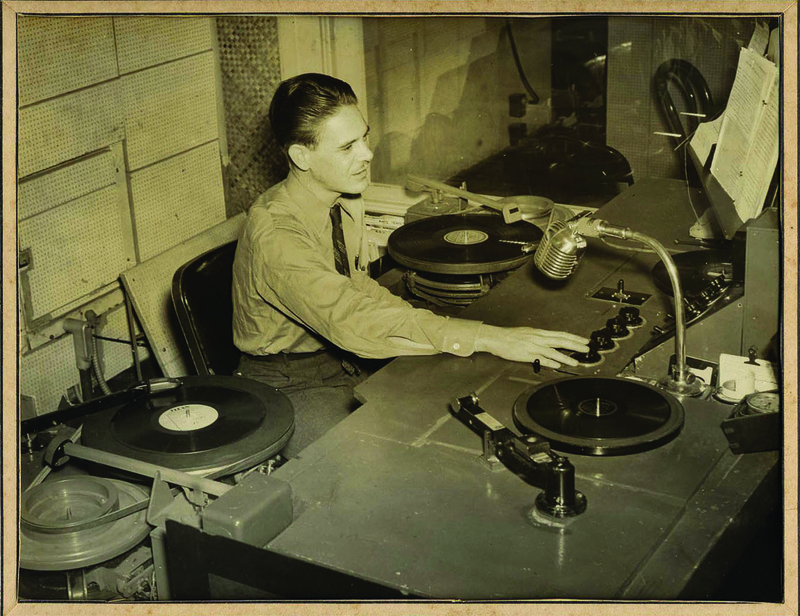 Disc jockey Harry B. Soria Sr. spinned 78s on KGU Radio in the old Honolulu Advertiser building. Radio was big entertainment in the 30s and big business on the weekends. At KGU studios on the third floor of the Honolulu Advertiser building, Harry B. Soria Sr. ran his own live-audience radio shows —with Charles E. King, Johnny Almeida, the Bina Mossman Glee Club and the trans-Pacific NBC broadcast of “The Voice of Hawaii.” The audience was separated from bands and performers by a plate glass screen; broadcast mics were “inside the booth.” Audience response was piped in and controlled with a switch by the program director. music of the day, live interviews and called-in listener requests that he personally announced. When commercial air travel to Hawai‘i began after WWII, mainlanders who had grown up on tunes from the Land of Aloha could not wait to visit Honolulu; innovative radio had created a national market for Hawaiian culture. After 40 years, “Hawaii Calls” signed off the air in 1975, a year which was also the flash-point for a Hawaiian cultural renaissance. Television was the new darling, and after a few more years, Harry Sr. retired. 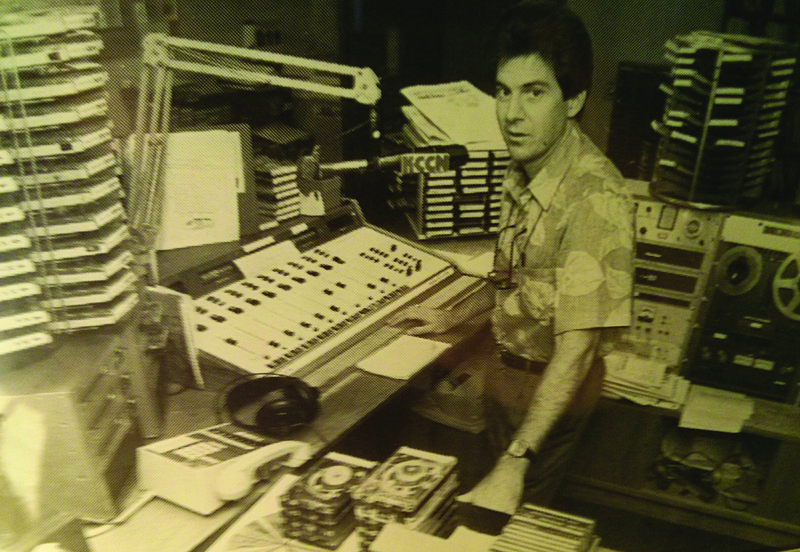 Harry B. Soria, Jr. broadcasting on KCCN 1420 AM radio in Honolulu, Hawaii. Much of the equipment in this studio of 1980 is no longer used in the industry. Today, Harry B. continues to create the sound of yesteryear in state-of-the-art broadcast facilities. for Hawaiian culture and knew that these old Hawaiian recordings were an important connection to the past. 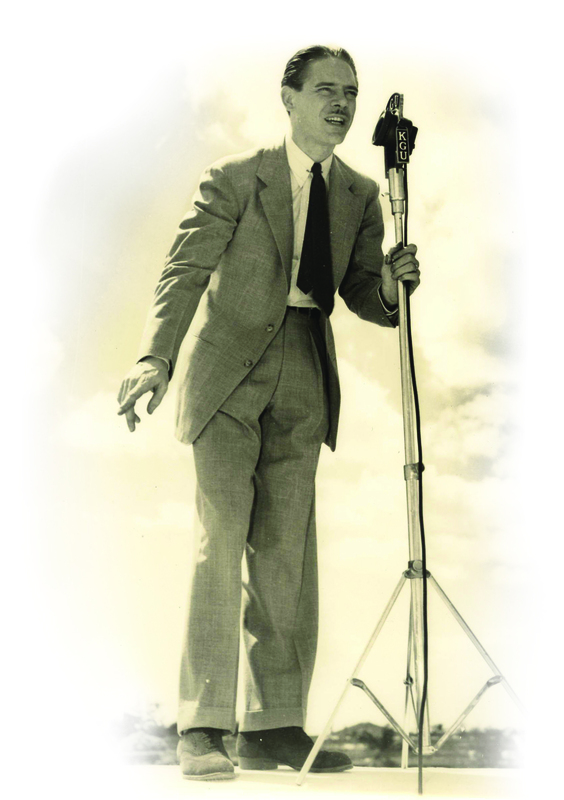 Harry Sr. led him to a dusty steamer trunk in their garage filled with the contents of his desk from Monday night, Dec. 8, 1941— his last radio broadcasting day after the attack on Pearl Harbor. The Japanese had used the “Voice Of Hawaii” trans-Pacific broadcast frequency to navigate their bombers to the Hawaiian Islands. Hawai‘i’s business community anticipated that the Japanese might attack the Territory of Hawai‘i and put a disaster plan in place in 1941. Harry Sr. was charged with screening all long-distance calls to and from Hawai‘i, so that no classified information would be available to foreign forces. On Sunday, Dec. 7, he listened to a conversation between President Franklin D. Roosevelt and governor of the territory, Joseph Poindexter. On Monday, he cleared out all the records from his office. Announcers like Webley Edwards became war correspondents, and Harry Sr. became a lead radio and long-distance telephone censor for U.S. Navy Intelligence, assigned to Midway Island until 1946. The trunk held plenty of 78 records, acetate records, tape recordings, lead sheets for live musicians, broadcast playlists, contracts and memos. This valuable cache of Hawaiian music history began Harry Jr.’s quest to learn about and preserve as much old Hawaiian recorded music as he could. Until his death in 1990, Harry Sr. mentored Harry Jr., sharing the history of authentic Hawai‘i music. Harry Jr. was catching Skylark’s show one day when she posed a rhetorical question about a strange shuffling noise in the background of “Hawaiian Vamp” by Johnny Noble, recorded live at the Moana Hotel. for this hugely popular AM station that outperformed most of the FM channels. So, Harry B. began living his dream, doing one show a week, fulfilling his passion and kuleana to preserve Hawaiian recorded music. Harry B. Soria, Jr. broadcasts “Territorial Airwaves” in a modern studio. Above: Young traditional musicians Raiatea Helm and Nā Hoa tapped into Harry B.’s territorial music collection to discover authentic vintage tunes and lyrics that helped them develop their successful careers. Harry B. “Dad lived to 85 and he was my consultant for almost 11 years. I realized that music is an expression of the the times. Driving through town, he would tell me things like, ‘That medical complex on the corner of Ke‘eaumoku and Beretania used to be Dairyman’s Purity Inn ice cream parlor,’ or ‘This is the tune that made the Manhattan Cake Walk dance all the rage!’ I would just listen and write down all he shared. Soon, I patched together a slice of time that I felt I knew and understood. The more I learned, the more comfortable I became with ideas, motivations and limitations of life in the Territorial era. “Dad always encouraged me and listened to every show. As soon as I got home, the phone would ring. He would say, ‘Great broadcast. You know, I was thinking about what you said and that song was actually…’ That was how I learned so much! I worked for several firms and finally retired from Sony Corporation in 2014, but never missed a show. Radio, nostalgia and history were my passion. “Some folks said my gig would never last, but it’s about to outrun ‘Hawaii Calls’ as the longest regular Hawai‘i music broadcast. When I started, there was negative sentiment about the whole territorial period after the fall of the monarchy, including the popular music and shows of Waikīkī. 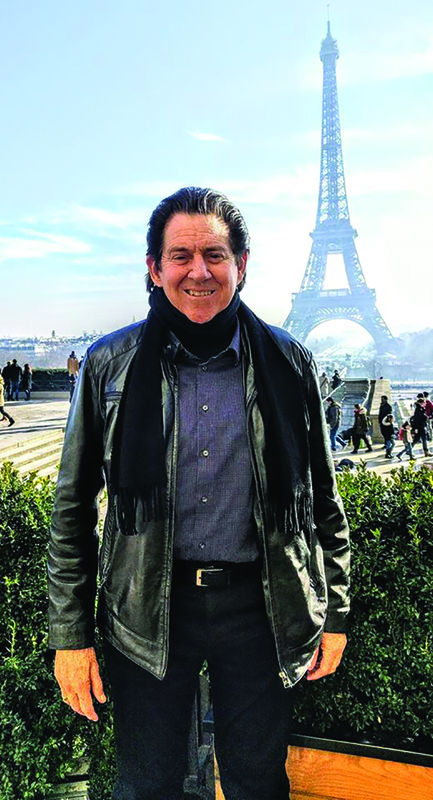 Since the cultural renewal has taken root, young musicians want to learn the musical stylings and lyrics that are preserved in our early recordings,” says Harry B.
Harry in Paris, where he and Kilohana support L’Association France-Hawaii and an annual hula festival. guitar, big band arrangements and swing style. 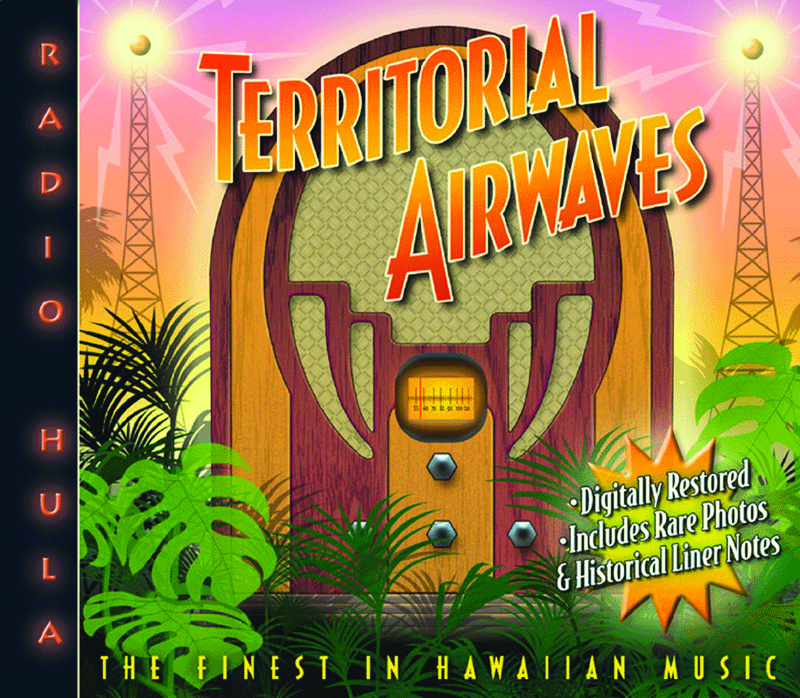 Readers 50 years old and older have been listening to “Territorial Airwaves” and learning about old Hawaiian music their whole lives. Also to his credit are some 30 albums of authentic Hawaiian music recordings that he produced on the Cord International label. 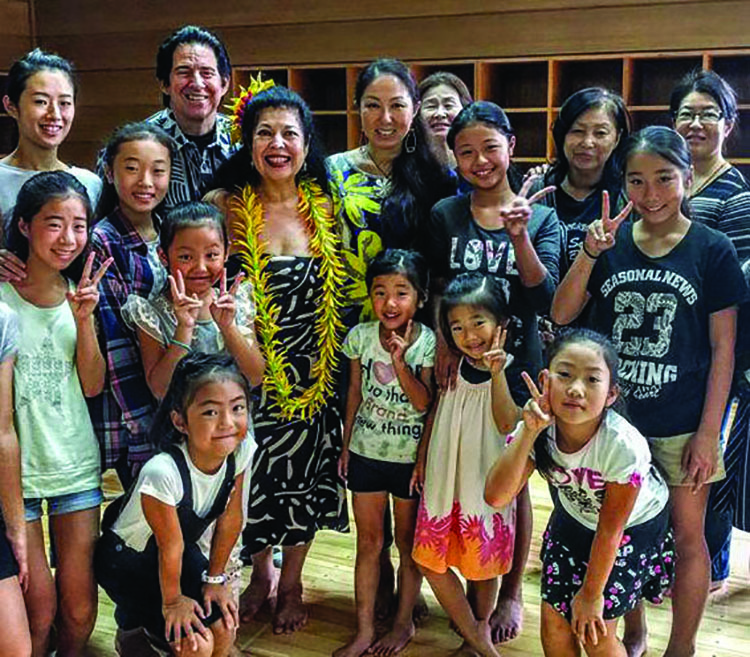 Kilohana and Harry B. host a keiki hula workshop in Chigasaki, Japan. 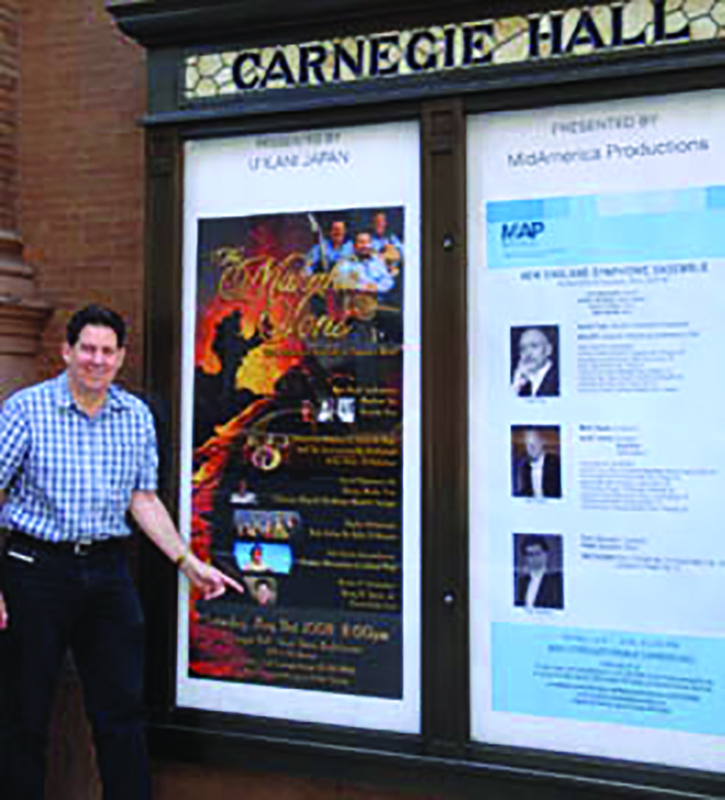 A Mākaha Sons show poster for a 2008 performance at Carnegie Hall in NYC; Harry B. was emcee. Even though Harry B. Soria is a public figure, at one point he found himself alone in his private life. Harry B. Soria, Jr., along with Pumehana Silve for Generations Magazine. “At age 60 and approaching retirement, I felt disappointed. I had no grandchildren and after my divorce, I could not believe I would be living out my life as a single man,” he says. But as we say in Hawai‘i, “‘A‘ale pohō.” In 2015, Harry met Kumu Hula Sandra Kilohana Silve of Hālau Hula o Mānoa and president of L’Association France-Hawai‘i in Paris. After graduating from the University of Hawai‘i in 1972, Kilohana studied art history and French language in Paris. She became a teacher of art history, worked as an art critic and shared her culture. She married and raised her daughter in France. Kumu Hula Kilohana trained with Kumu Hula Emma Bishop, Ellen Castillo, George Holokai and Kimo Alama Keaulana, and studies chant under Kumu Sam ‘Ohu Gon of Hālau Mele. In Paris, Kilohana developed a hula hālau that expanded to Rome through one of her students. Another student choreographed a hula to Edith Piaf’s “La Vie En Rose,” translated into Hawaiian by Sam Gon. Besides starting an international hula festival in France, she aided the Chigasaki Makana Hula Festival in Japan. A Juneau, Alaska, branch of her hālau performed for the annual Alaska Folk Festival. Kilohana was widowed and returned in 2005 to live in Mānoa, where she became a docent at Mānoa Heritage Center and continues to teach and choreograph hula for haumana in Europe, Asia, Alaska and Greenland. 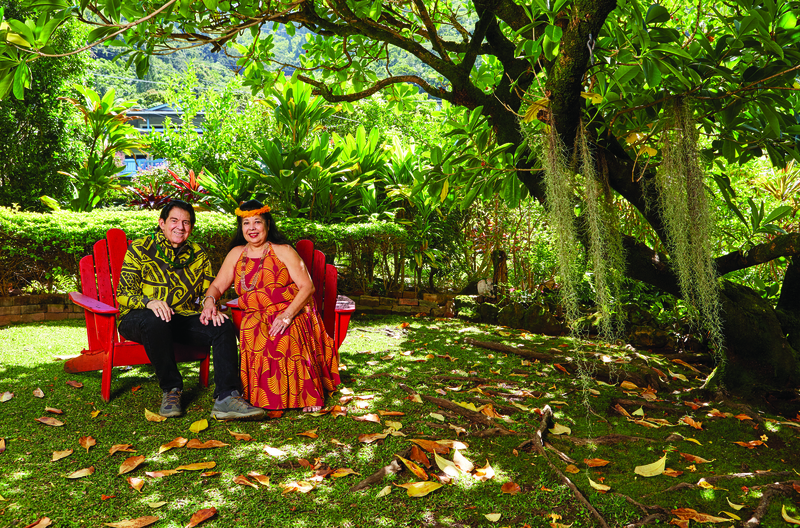 With decades of success behind them and the support of long-standing audiences, Harry B. and Kilohana understand the dichotomy between art and the business of performance. Each has respect for the other’s cultural kuleana and talent. In 2017, they married. Harry B, offers us the last seven years of his weekly broadcasts free-for-the-clicking on his interactive, fun website, www.TerritorialAirwaves.com. He also posted a big photo gallery of radio, recording and television stars going back to the 20s. Dubbed “The Encyclopedia of Hawai‘i music,” Harry B.’s website is a treasure trove of historical notes on performances, venues, studios and music producers. 70 and ‘Territorial Airwaves’ turns 40, the Hawaiian Music Archives Foundation will preserve and make public my personal recording collection and the collections of other Hawai‘i music enthusiasts wherever they live. All these precious materials have been given to me by my father and Hawai‘i music lovers. But we are the stewards — they belong to Hawai‘i. We Want More Hawaiian Music! If we had to say goodbye to steel guitar slides, ‘ukulele chalanglang, honky-tonk piano vamps or resonant slack key, would aloha die? Of course not. Lapping waves and swaying palms would inspire composers to new musical creations, but we might miss the textures and tunes of Hawai‘i that the kūpuna used to tell our story of aloha. Thanks to the kuleana and vision of the Soria family, authentic Hawaiian recordings of the past will be preserved. Tomorrow’s musicians will have the opportunity to hear the sounds and language of the kūpuna and weave their flowers into the golden lei of Hawaiian music. At Generations Magazine we cherish and promote the benefits of “legacy”— passing on traditions, achievements and wisdom to the next generation. We encourage our readers who love the music of Hawai‘i to support the Hawaiian Music Archives Foundation in any way you can. Perhaps your hula class or choir can donate a small gift or do a benefit performance. Get a group of friends to buy a gala ticket for a promising musician or broadcaster who loves old Hawaiian tunes. 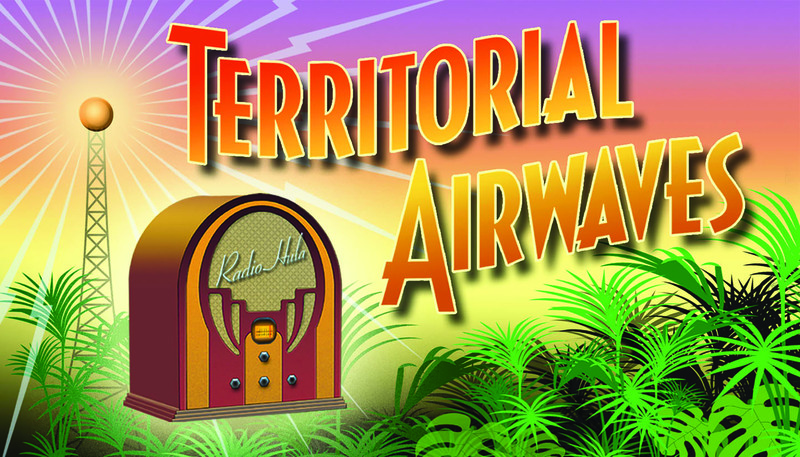 Or just go to the “Territorial Airwaves” website and make a donation. 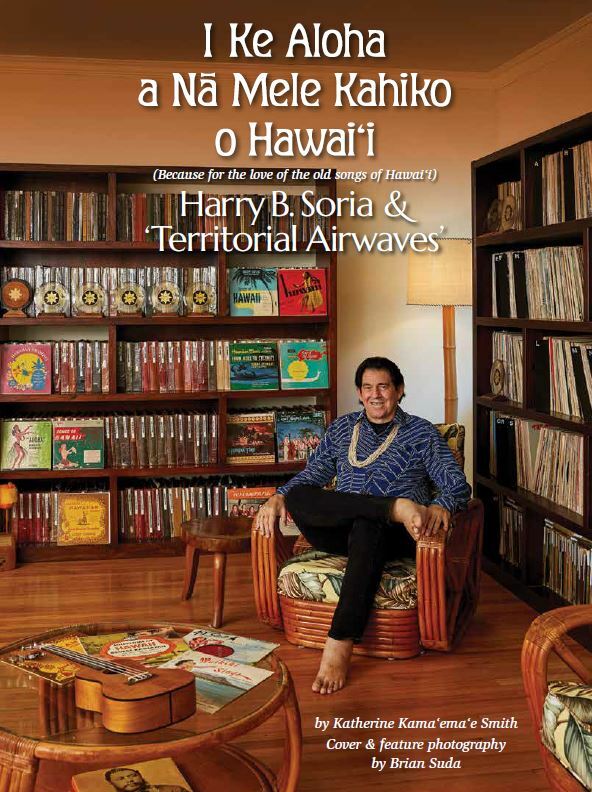 If you’ve enjoyed listening to “Territorial Airwaves” over the last 40 years, maybe this is the time to say “mahalo” and help Harry B. make all this music available to your grandchildren. If you are descended from the great families of Hawaiian music of the 40s 50s and 60s, supporting the archives honors the talent of your kūpuna. There is nothing more important to an artist than to be remembered in the public space of a museum. These music archives are a beautiful digital museum of territorial Hawaiian music and beyond to the 80s.